Fruit Twist Tropical Pucker Punch is a delightful and refreshing new vape sensation using strawberries, blueberries and pineapple as the primary flavors with an assortment of citrus fruits for a tart and tangy kick. This delicious blend of summer fruits infused with zesty citrus notes make it a perfect sweet and tart vapor you'll crave all day. 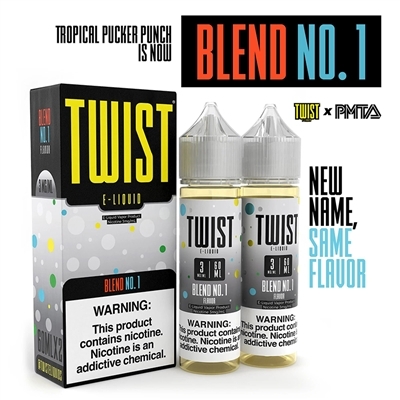 Fruit Twist Tropical Pucker Punch is created by Lemon Twist E Liquid and is packaged with 2 individual 60mL bottles so you can share with a friend. My absolute favorite juice, very potent fruity flavor!